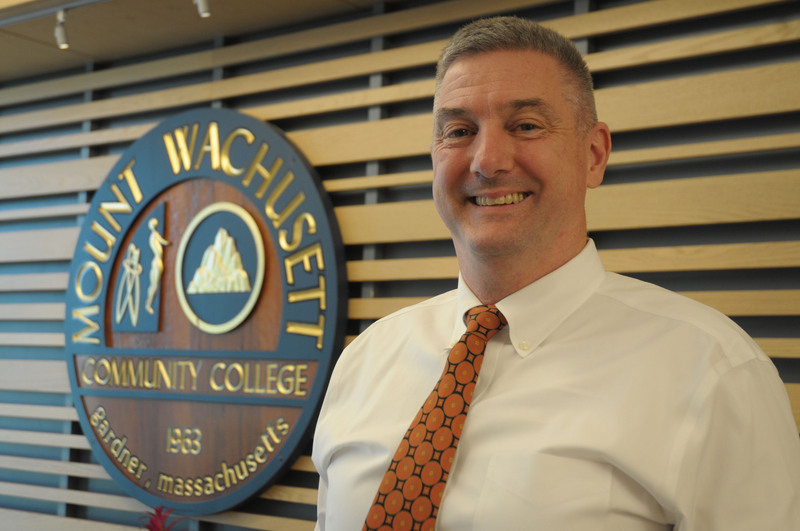 Peter Sennett has returned to Mount Wachusett Community College as the new Vice President of Human Resources and Payroll. 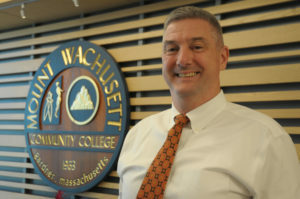 Sennett, a resident of Peterborough, N.H., left his position at Greenfield Community College as the Executive Director Affirmative Action Officer/Title IX Coordinator/Public Records Access Officer to return to MWCC where he previously served as MWCC’s Director of Human Resources/Affirmative Action. In addition to overseeing the Human Resources department and payroll in his new role, he will serve at the college’s affirmative action officer and Title IX coordinator. “It’s served me well in this kind of work to be the person who listens a lot, who looks at the context, appreciates and really tries to understand how we got to where we are and where we want to go,” said Sennett. In addition to his human resources background, Sennett has 20 years of service with the U.S. Marine Corps working in diverse and multicultural environments in the U.S. and abroad. During his time with the Marine Corps, he had numerous rotations that included ethics and compliance law, prosecution, defense, and teaching. These different roles included mentoring, teaching, recruiting and leading people seeking to achieve personal, professional and organizational goals. “Under the big umbrella of human resources there were a lot of things that fit,” said Sennett. While his skillset lent itself to the human resources arena, Sennett’s interest in education began with his parents, who both taught in high schools. He said he has seen the lasting impact they had on their students, who decades later would speak to his parents about the accomplishments that they achieved as a result of their influence. And that impact, which everyone working for a college has on the students, is why Sennett is committed to higher education. He earned his LL.M in International and Comparative Law at George Washington University Law School, a JD & MPA from Syracuse University College of Law and Maxwell School of Citizenship & Public Affairs, and received HR certification from the Society for Human Resource Management.